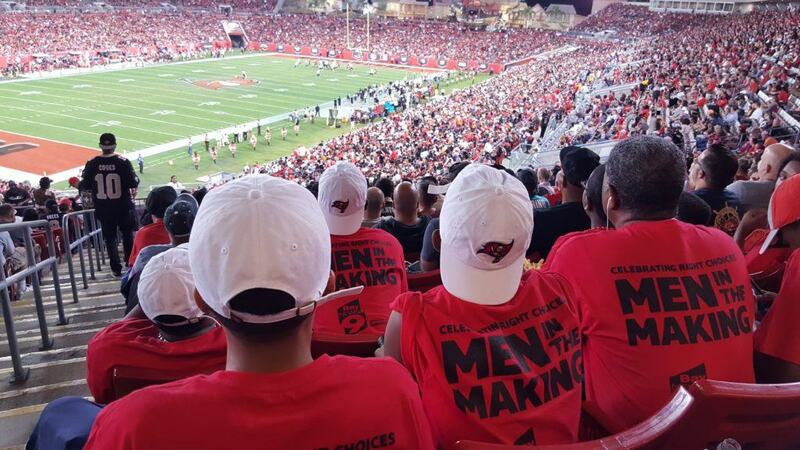 On Sunday, the organization did the same off the field, along with a group of Bay News 9 employees. 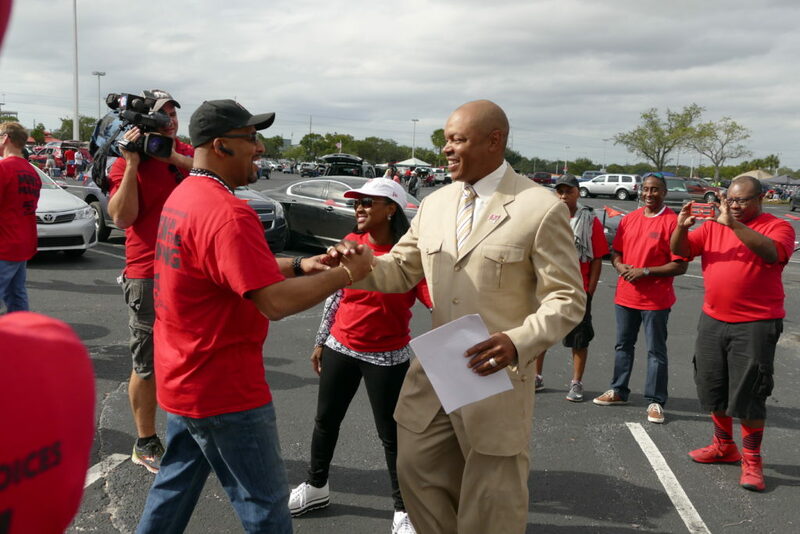 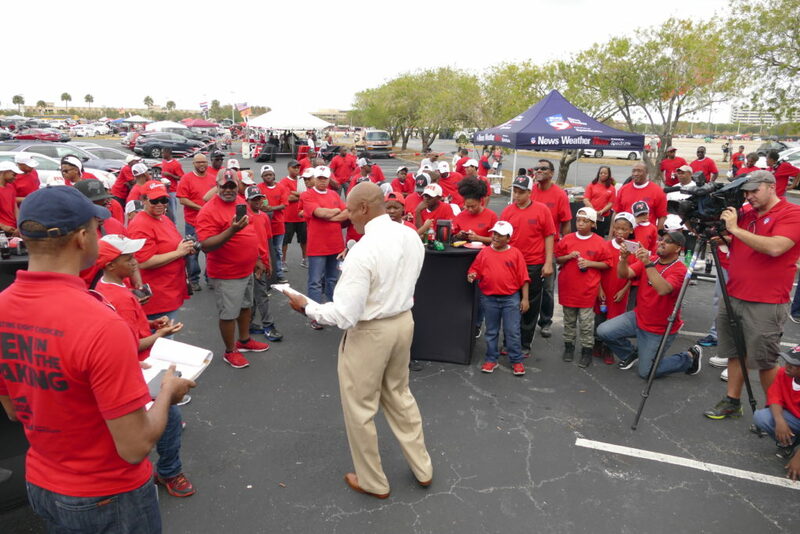 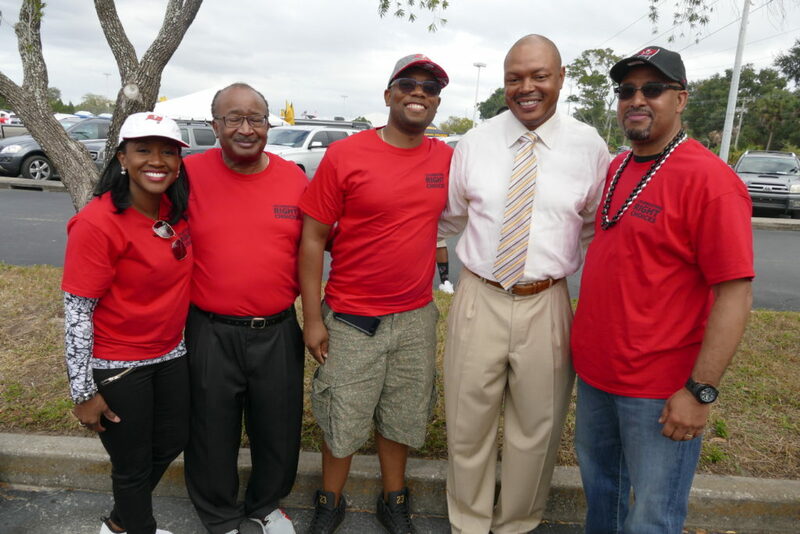 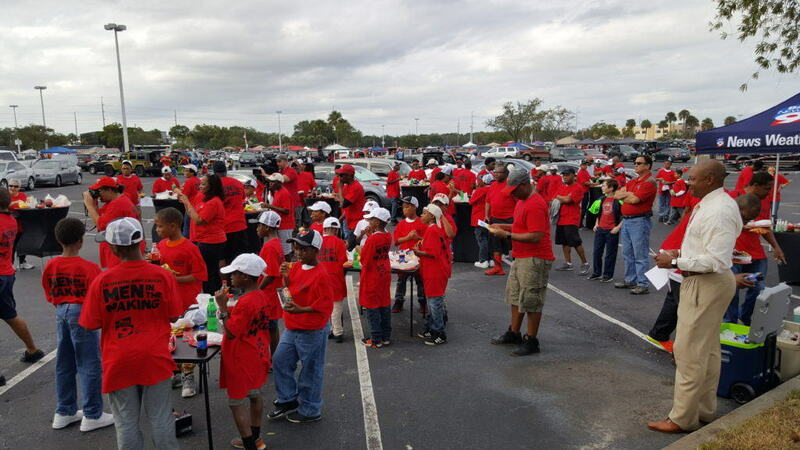 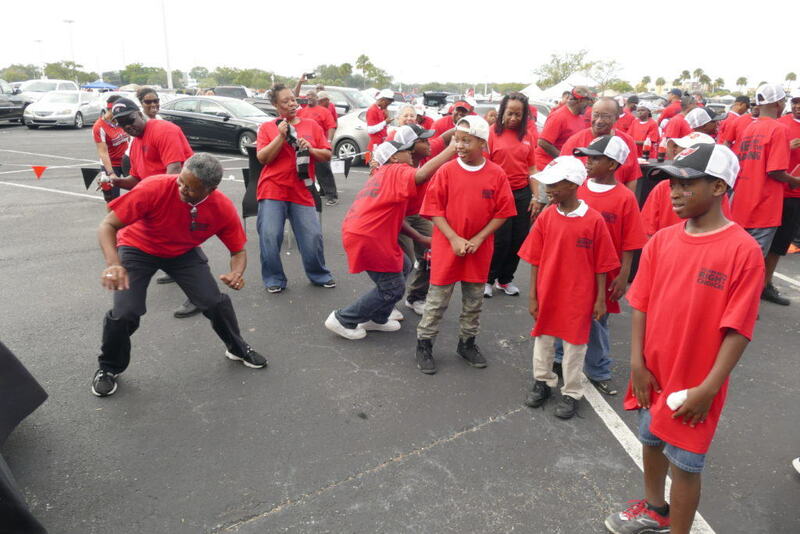 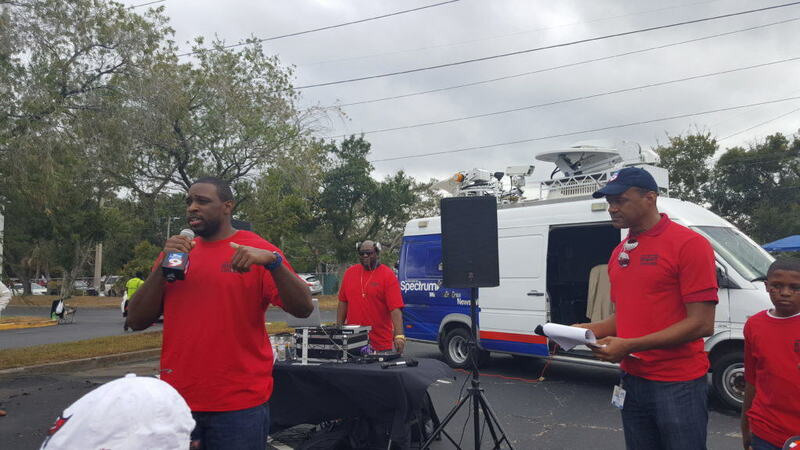 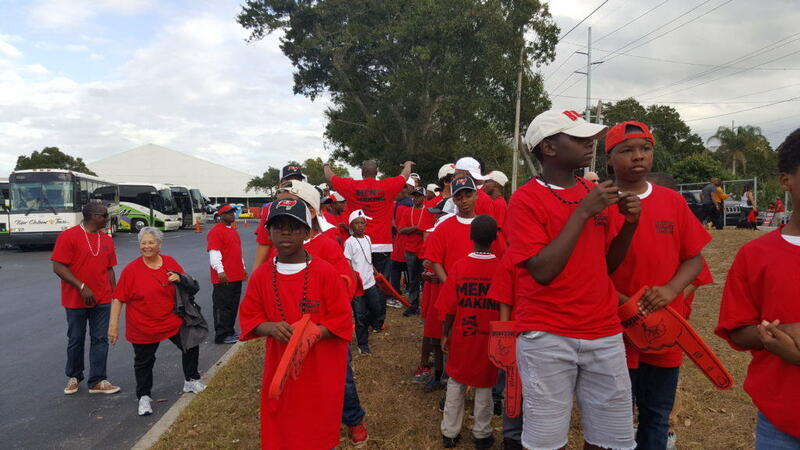 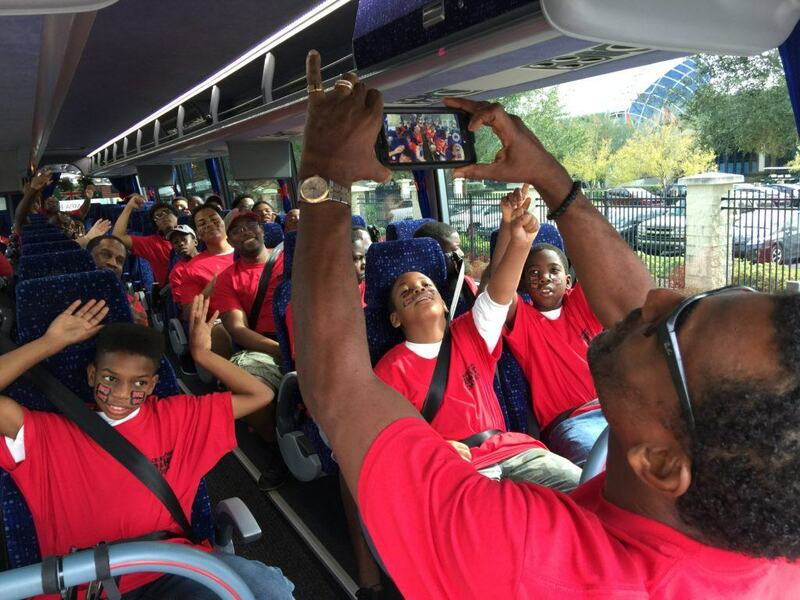 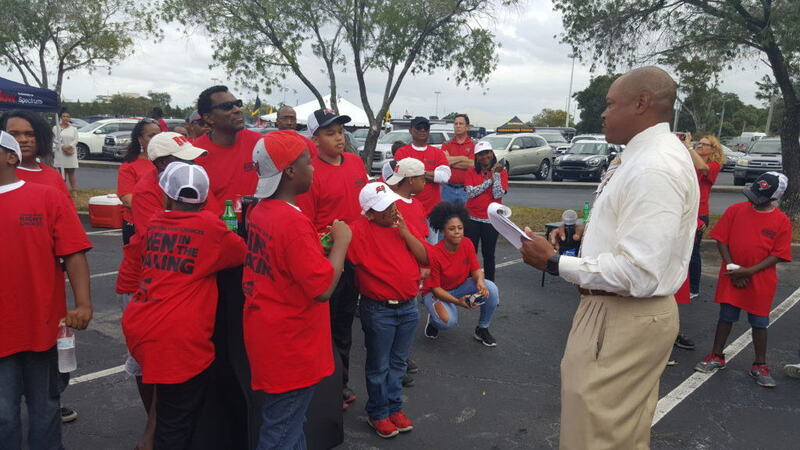 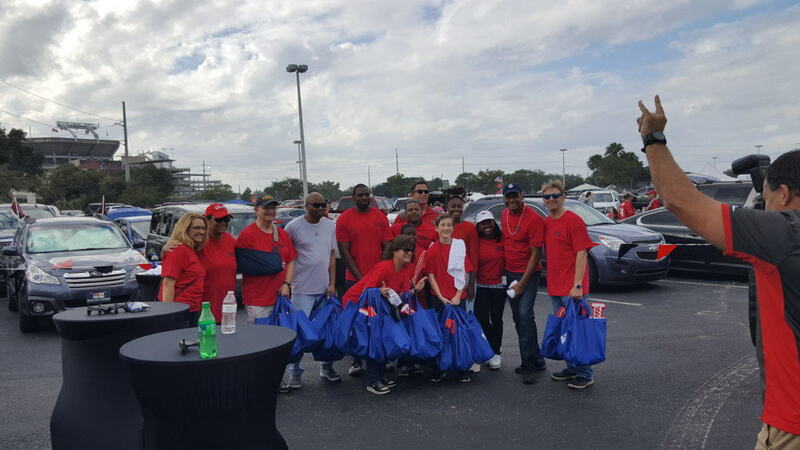 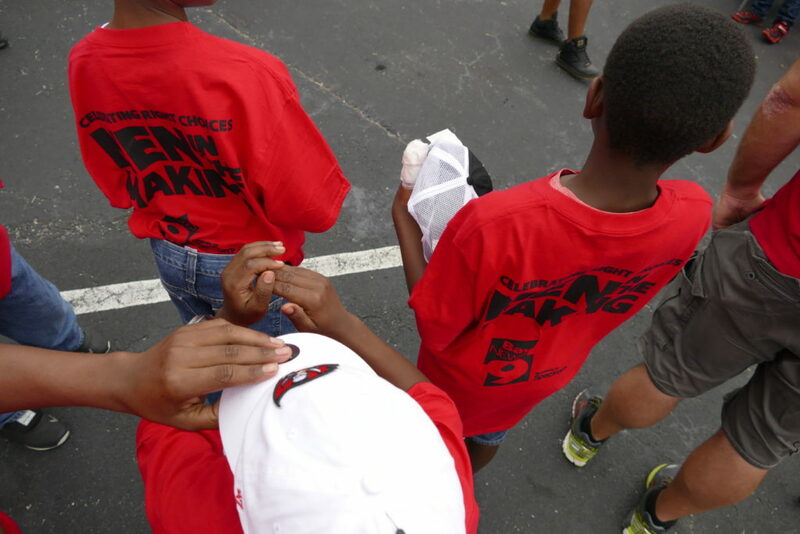 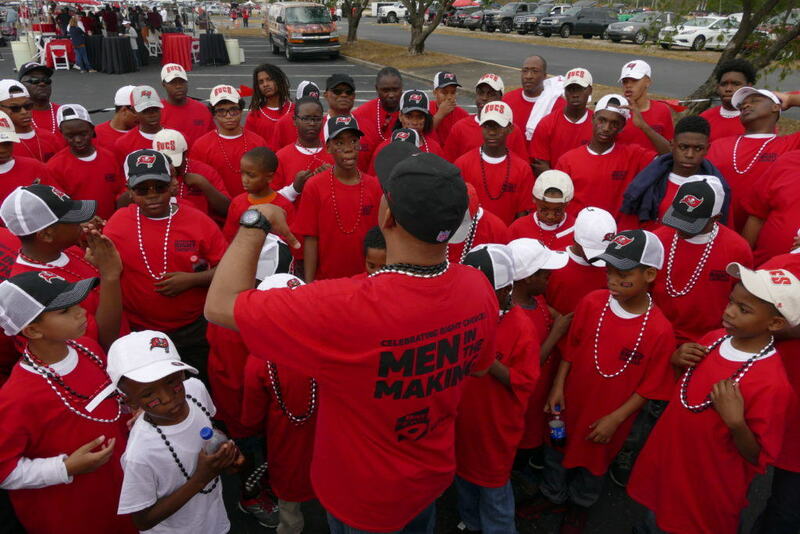 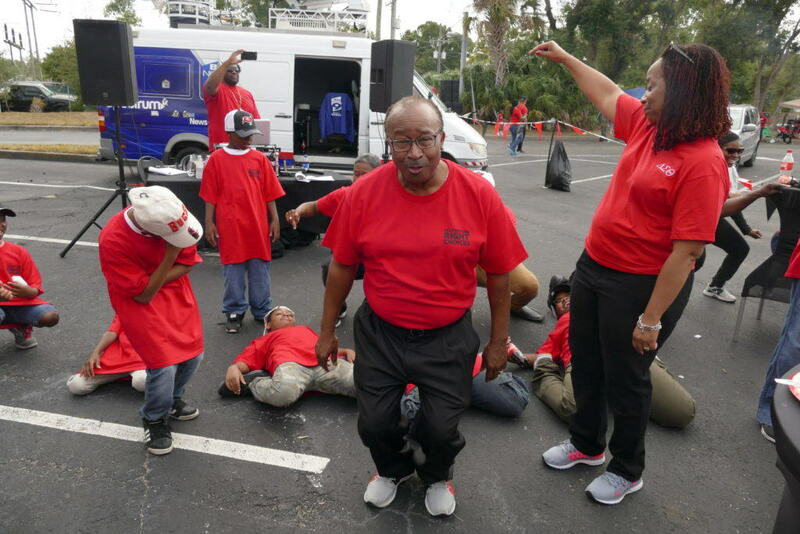 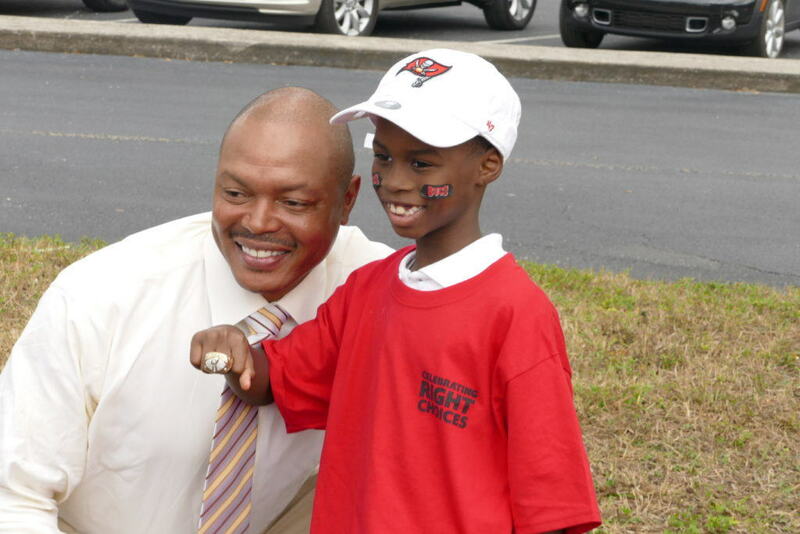 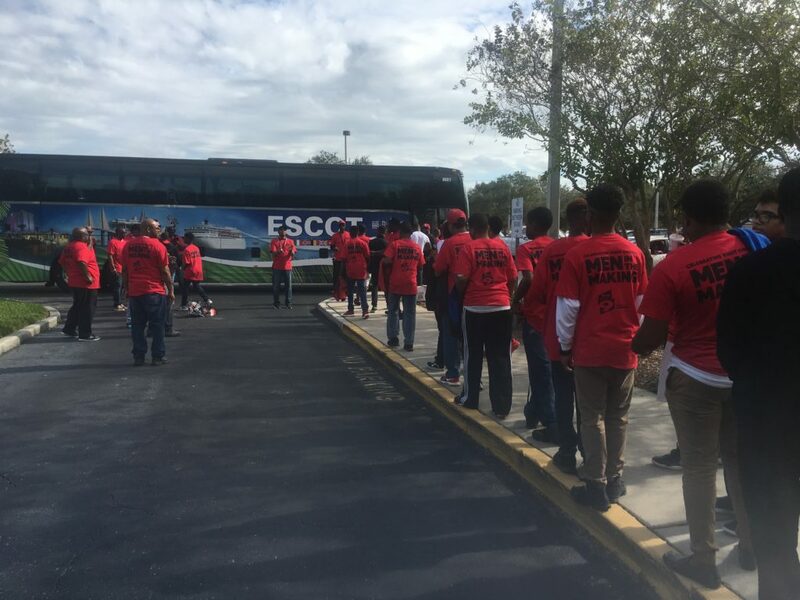 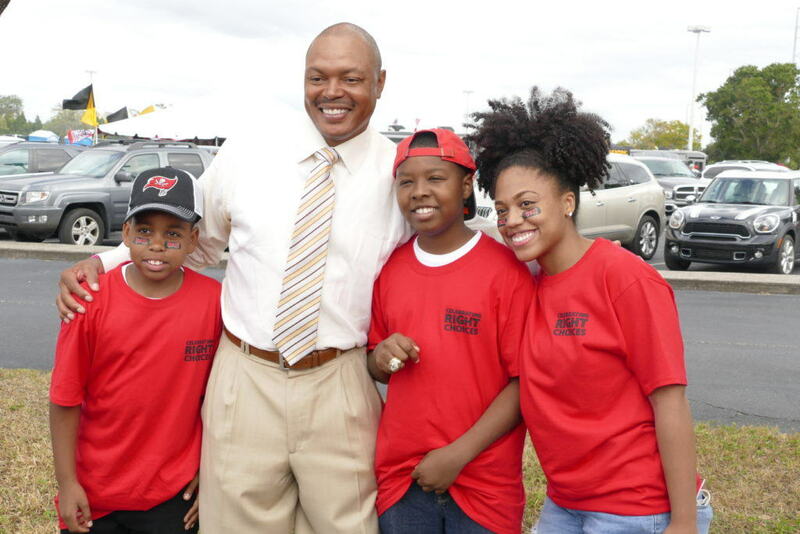 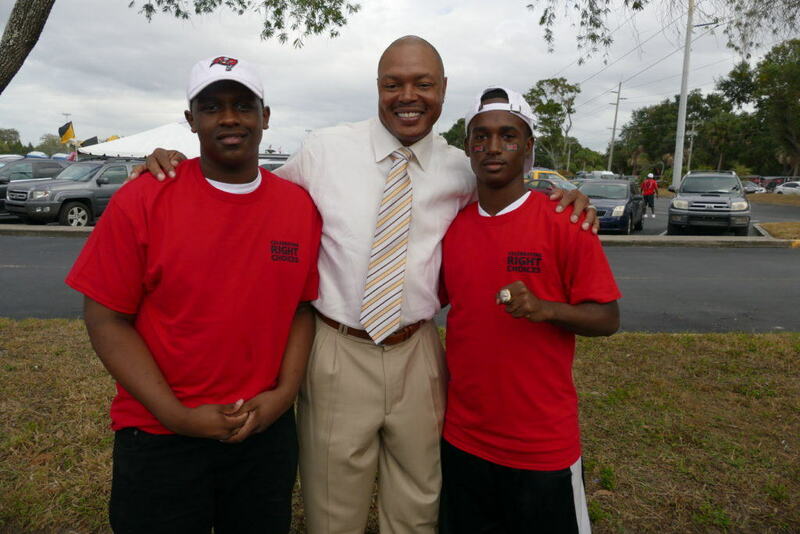 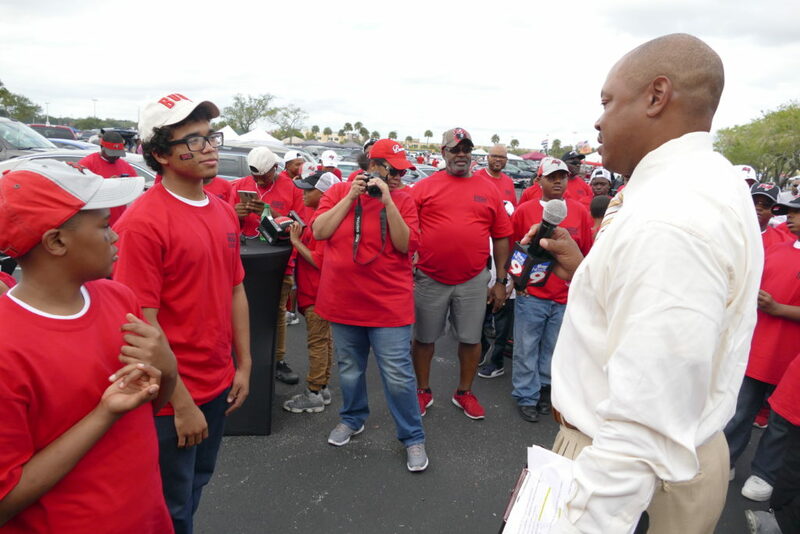 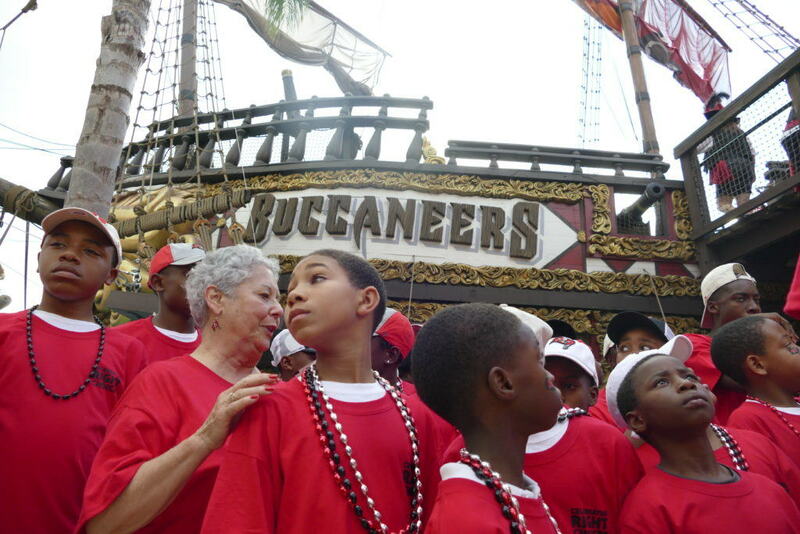 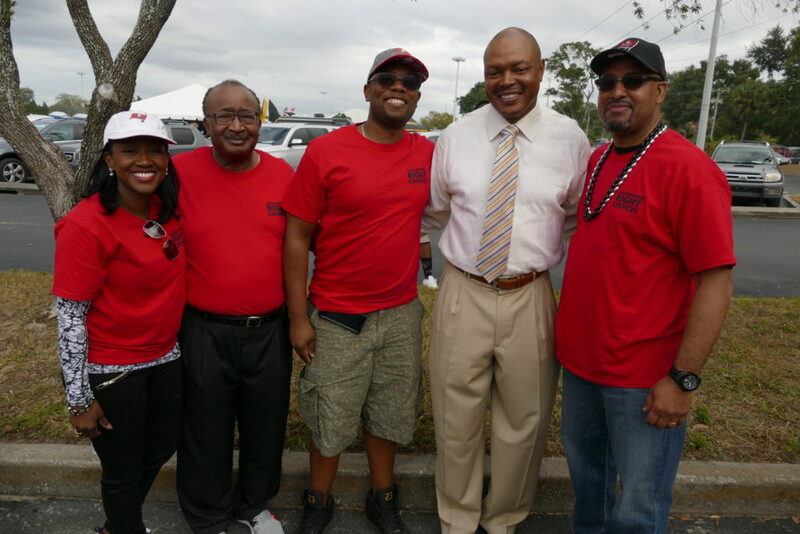 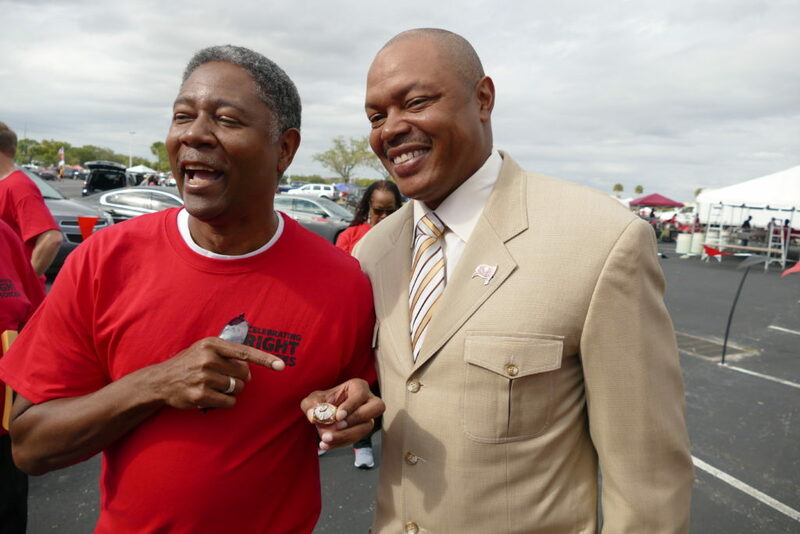 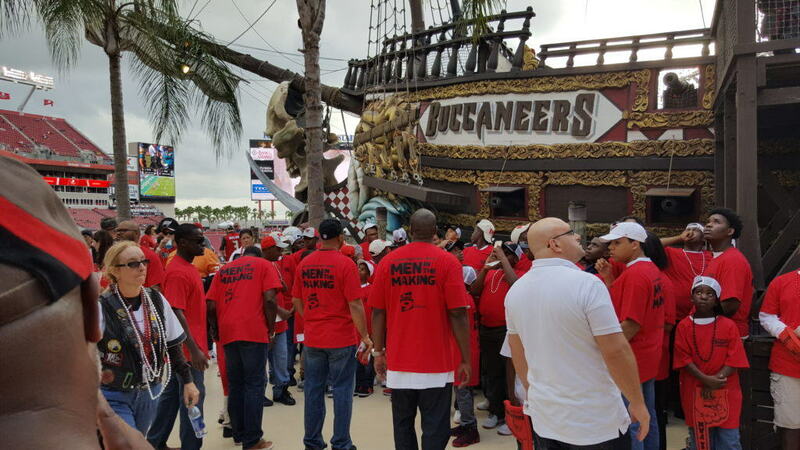 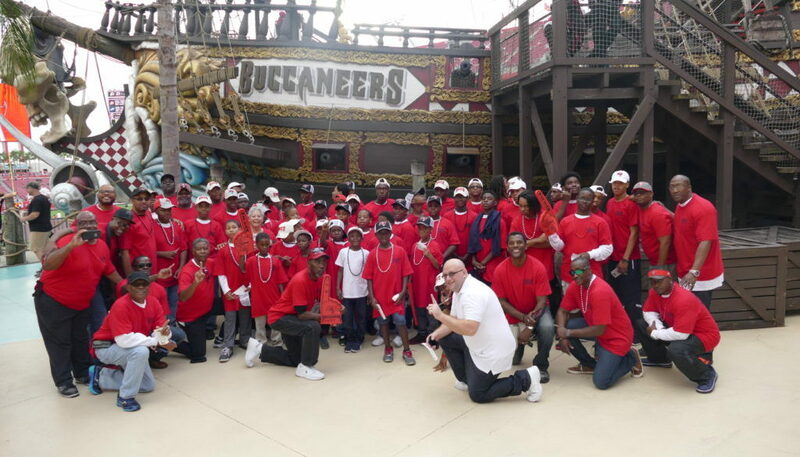 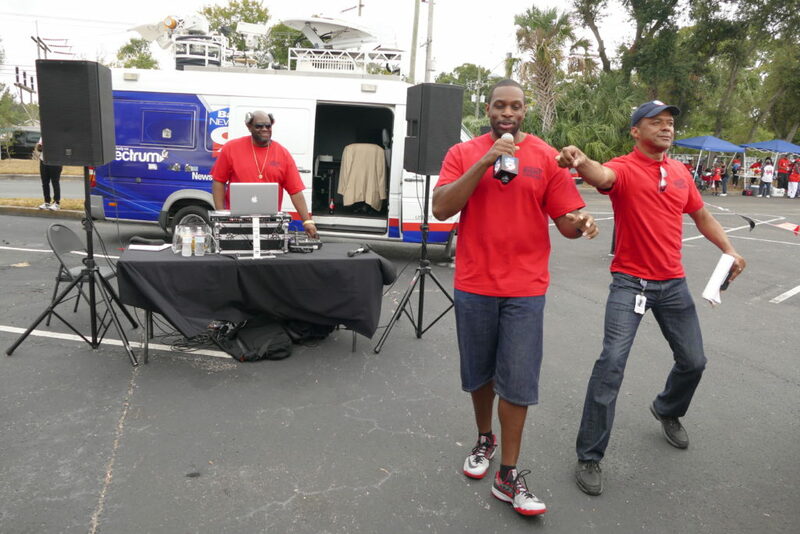 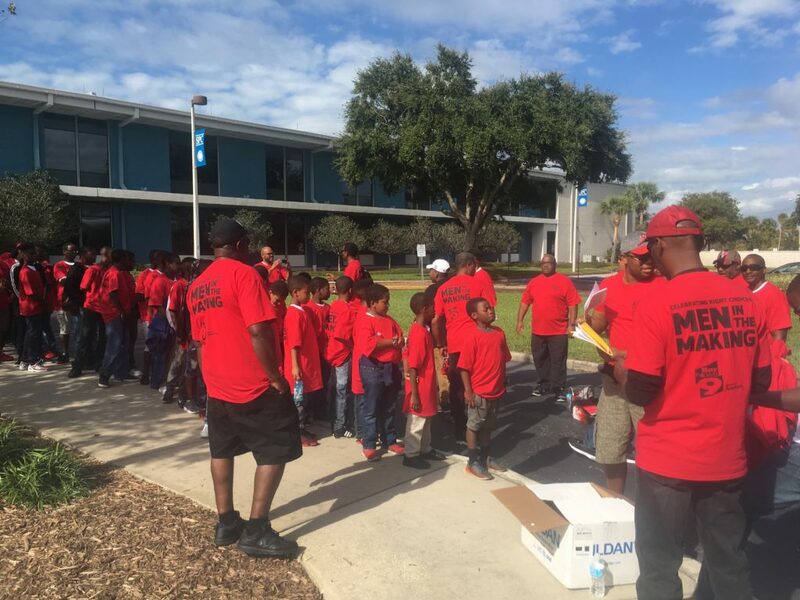 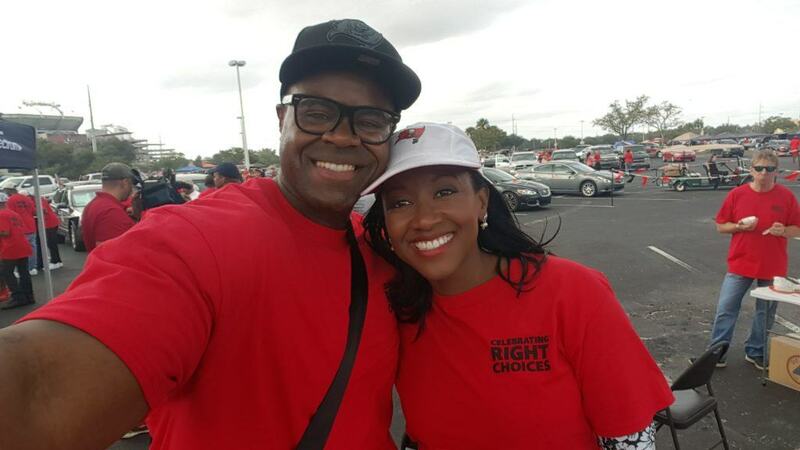 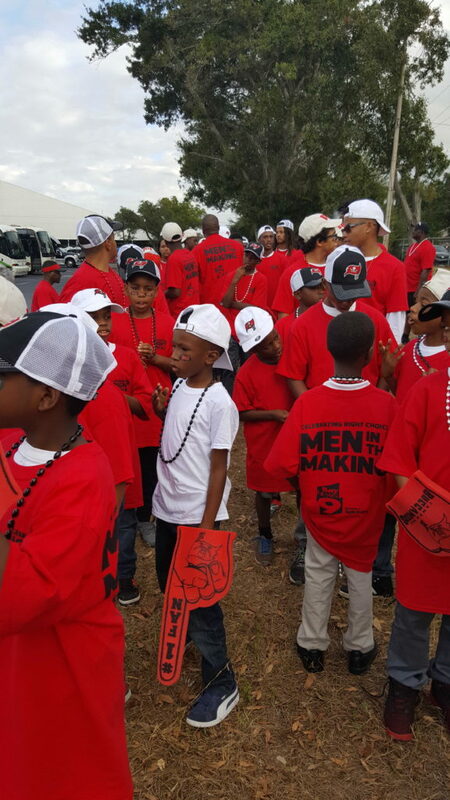 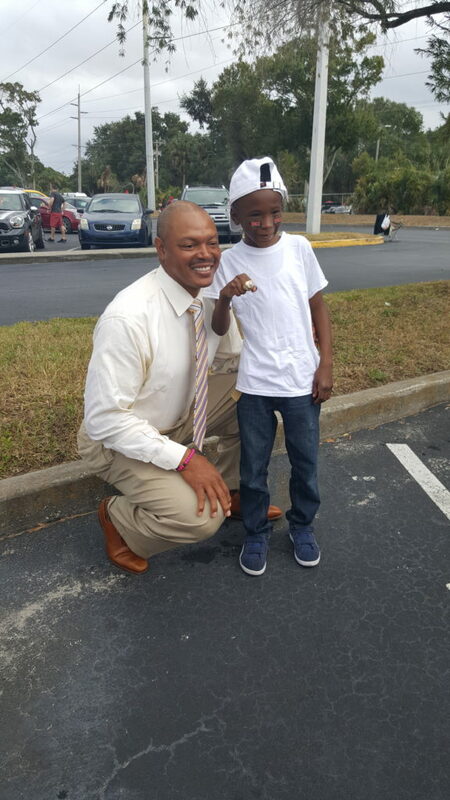 Bay News 9 weekday morning anchor Erica Riggins and other staff members hosted 50 boys from the St. Petersburg mentoring group ‘Men in the Making‘ for a Tampa Bay Buccaneers’ game and pre-game party. 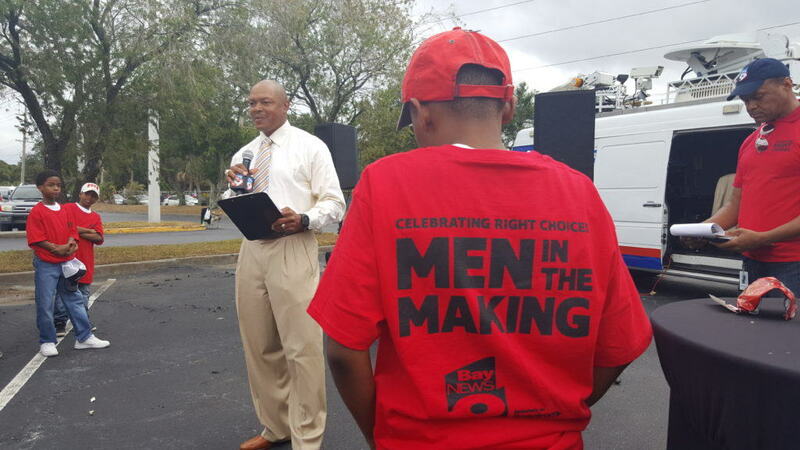 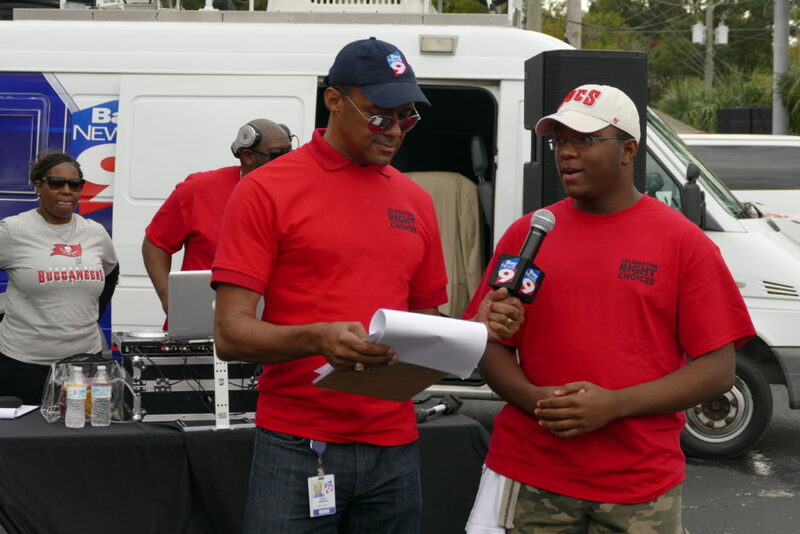 Bay News 9 reporter Trevor Pettiford emceed the event and stressed to the young men the event meant just as much to him as it did to them. 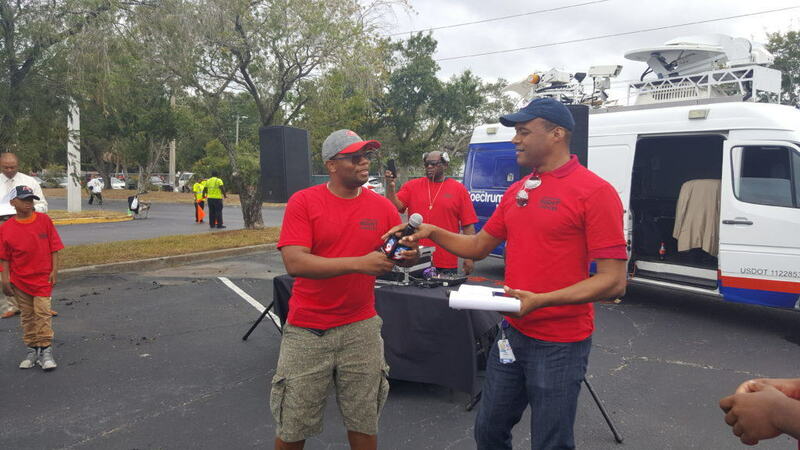 “It’s an incredible honor,” Pettiford said. 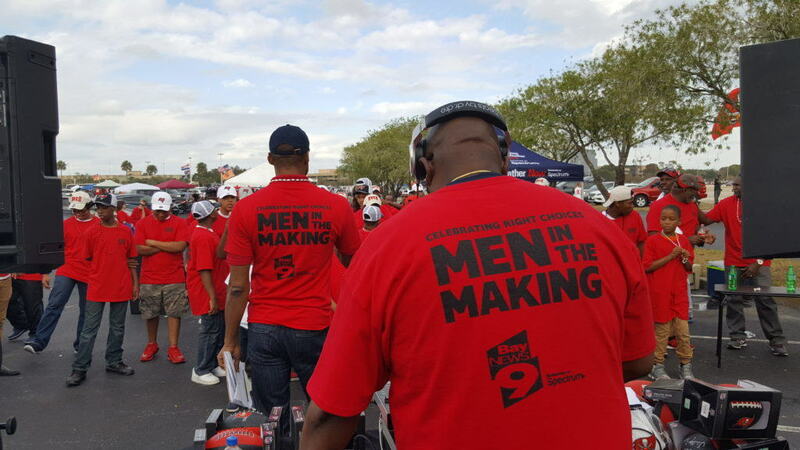 “To be a part of Men in the Making. 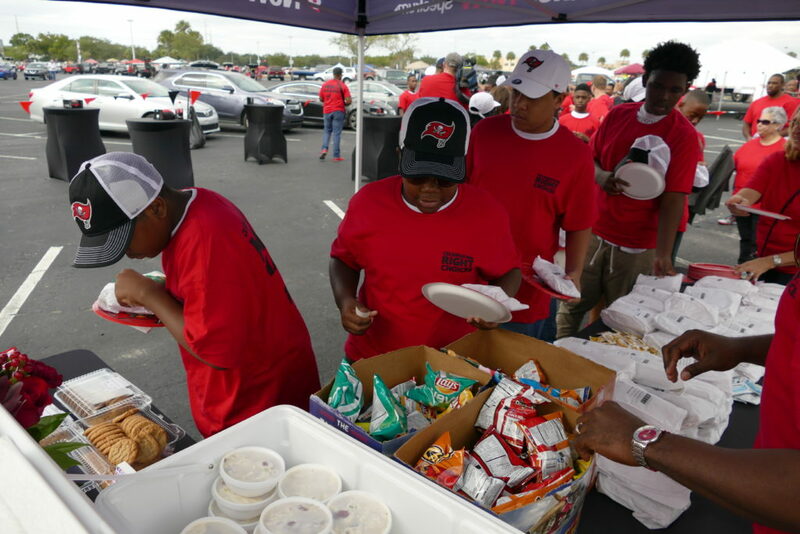 The boys were treated to a tailgate party at One Buc Place, played games, engaged in mentoring sessions with Bay News 9 employees and enjoyed a Q-and-A session with former Buc and current team Director of Football Operations Shelton Quarles. 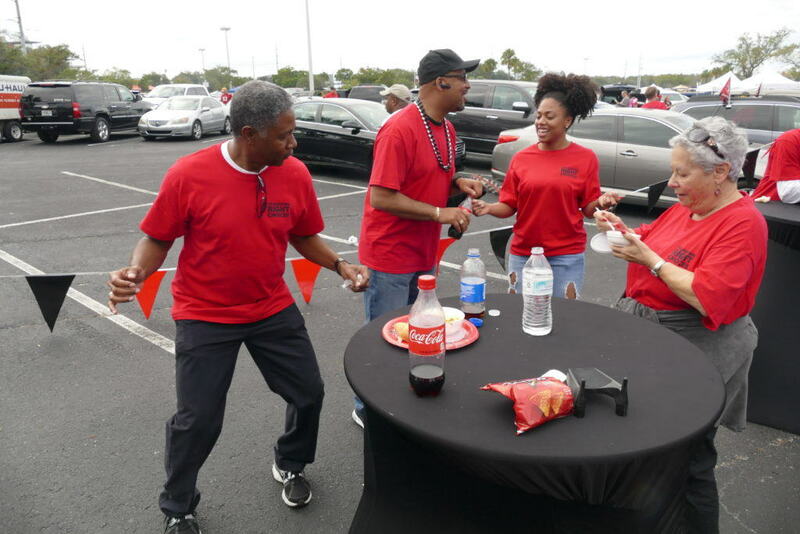 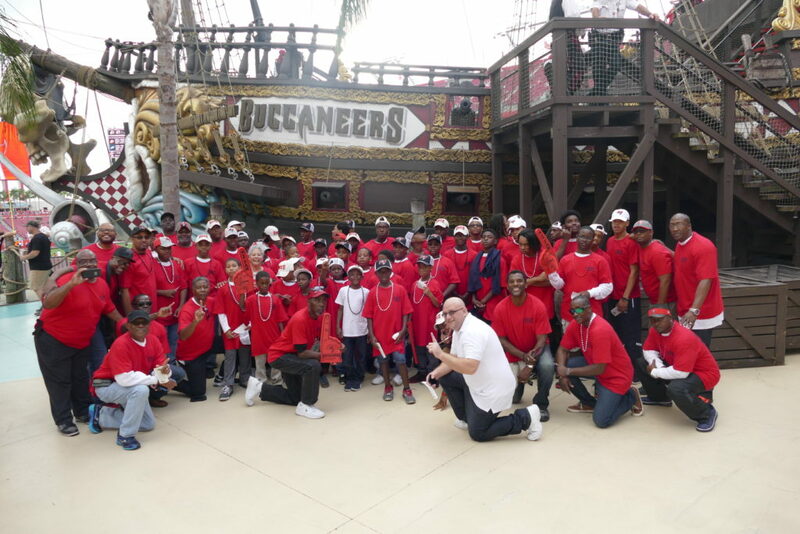 The group then headed into Raymond James Stadium to cheer on the Bucs against the New Orleans Saints. 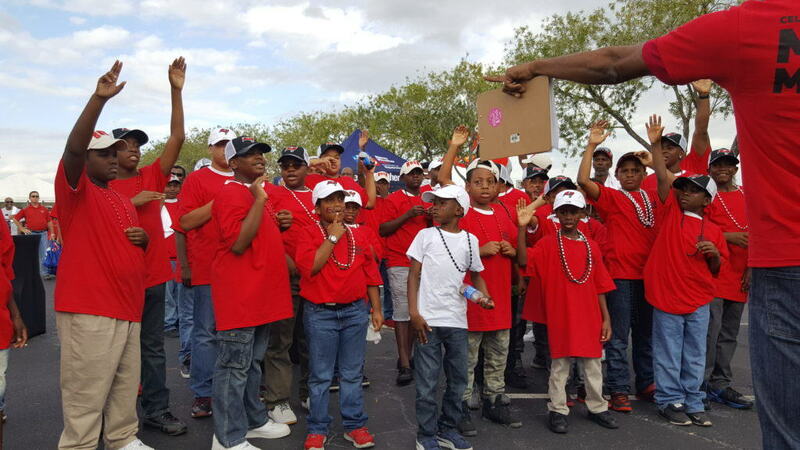 Born out of tragedy, the Men in the Making program now mentors approximately 50 young men from south St. Petersburg neighborhoods. 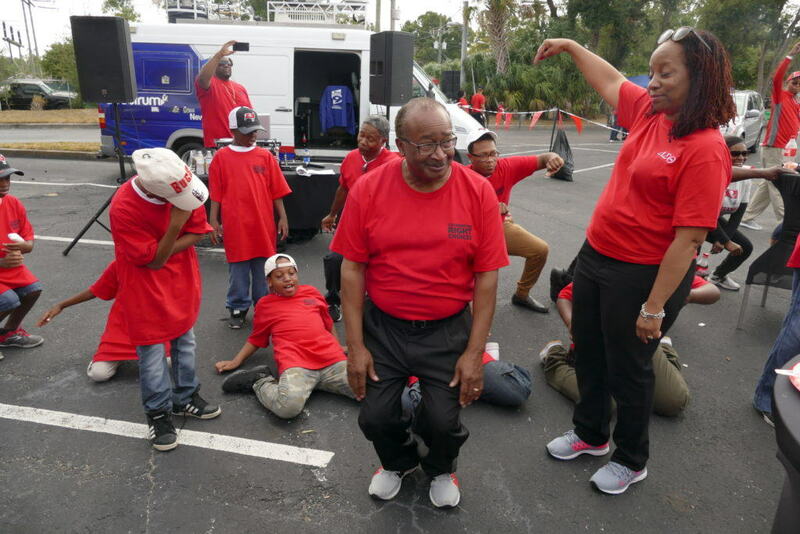 The creation of the group came about after the 2011 shooting death of St. Petersburg police officer David Crawford. 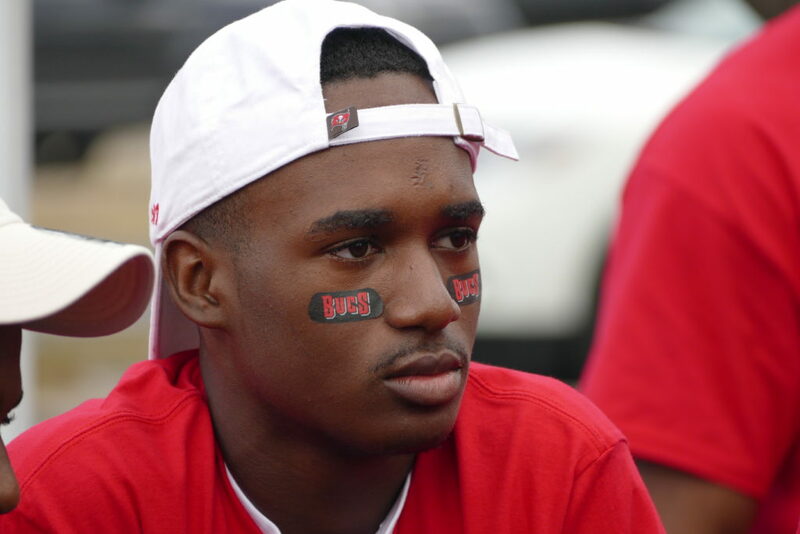 A teenager, Nicholas Lindsey, then 16, was convicted of killing Crawford and is now serving a life sentence. 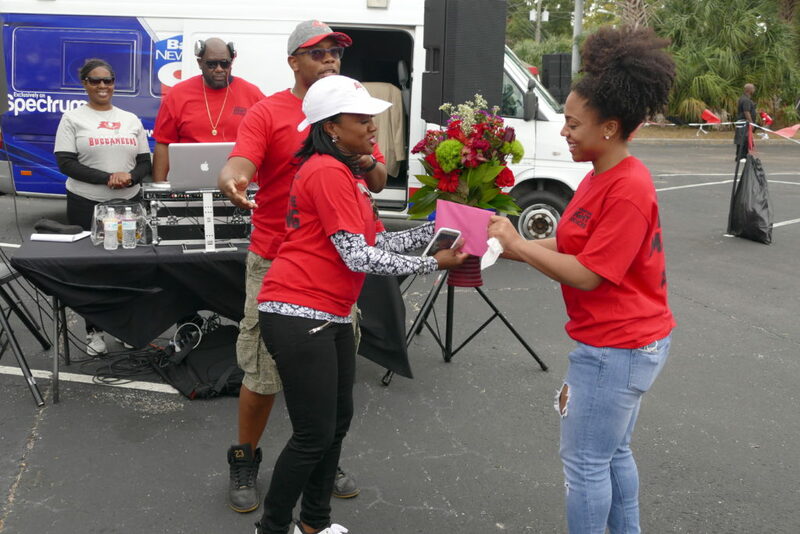 A need was seen to connect teens with people in the community to keep them on a successful path. 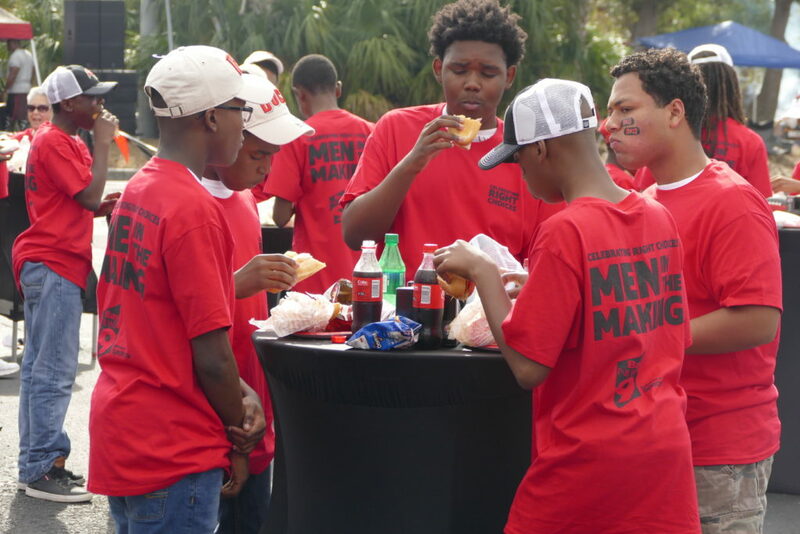 Mentors meet with boys one Saturday a month, spending time with them for about seven to eight hours. 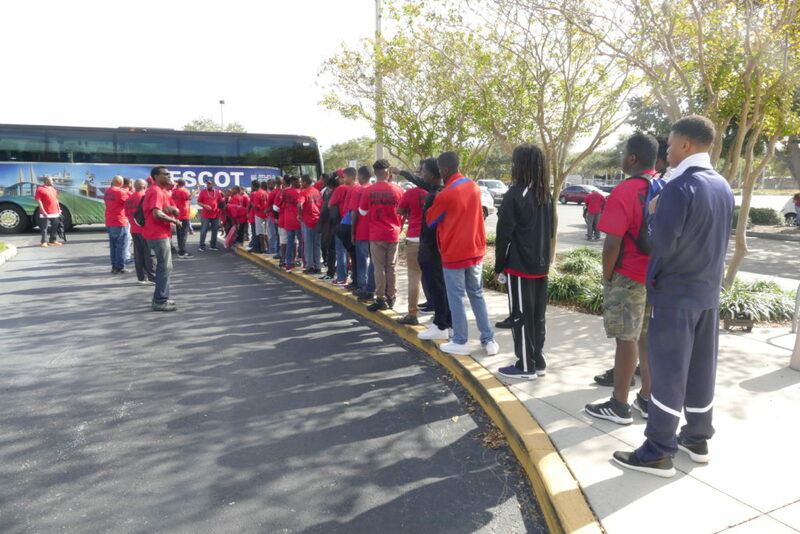 Professionals from the community and police officials work with the teens — teaching everything from tying ties and speaking in public to developing writing and critical thinking skills. 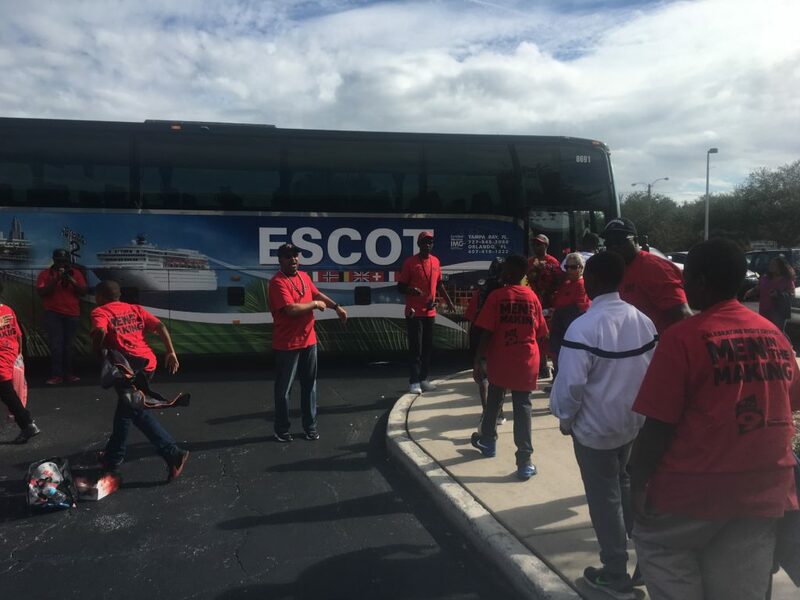 The group has had speakers from ESPN, gone to restaurants, visited museums and had demonstrations from St. Petersburg police. 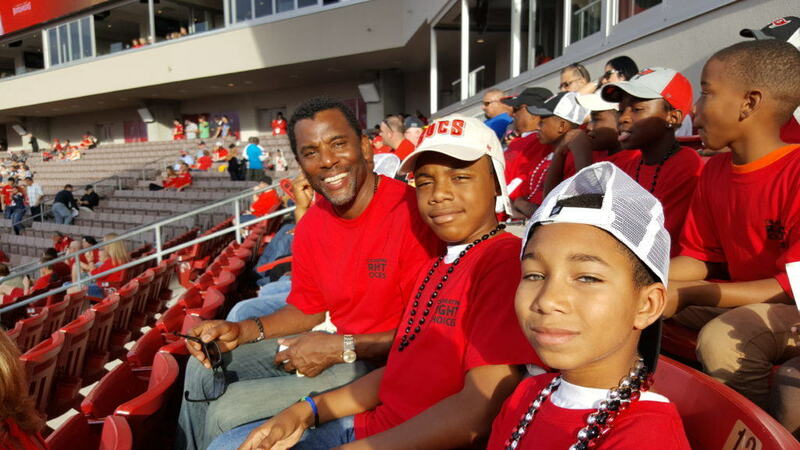 Sunday was a chance to do what only two kids in the group had ever done: attend a live National Football League game. 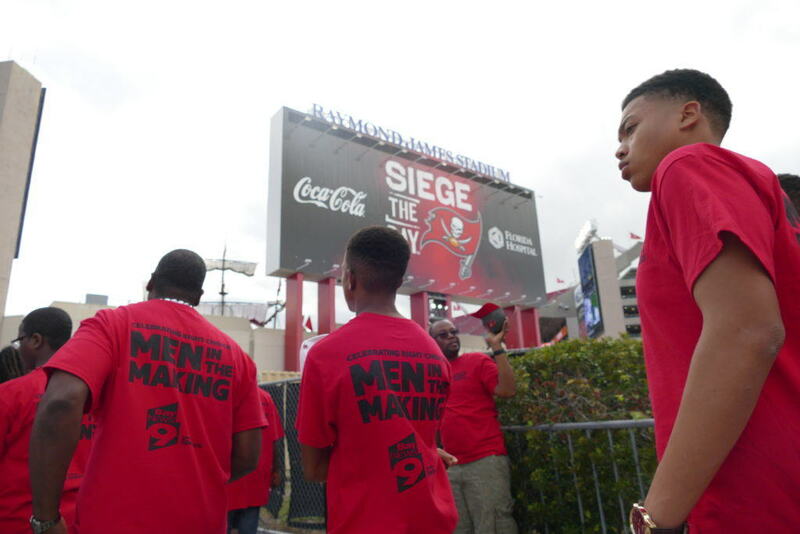 Kenny Irby, the program director of Men in the Making, said the boys worked hard to earn the honor of attending the game. 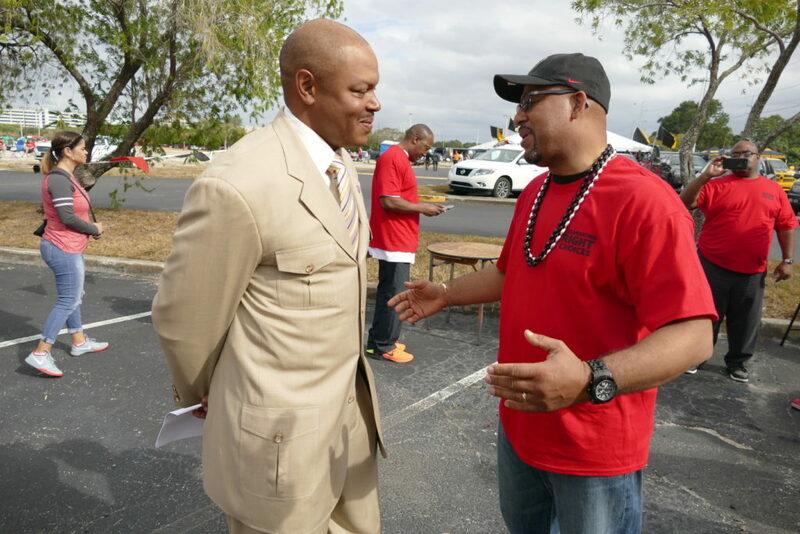 “Today is just affirmation of how enriching this activity can be,” Irby said. 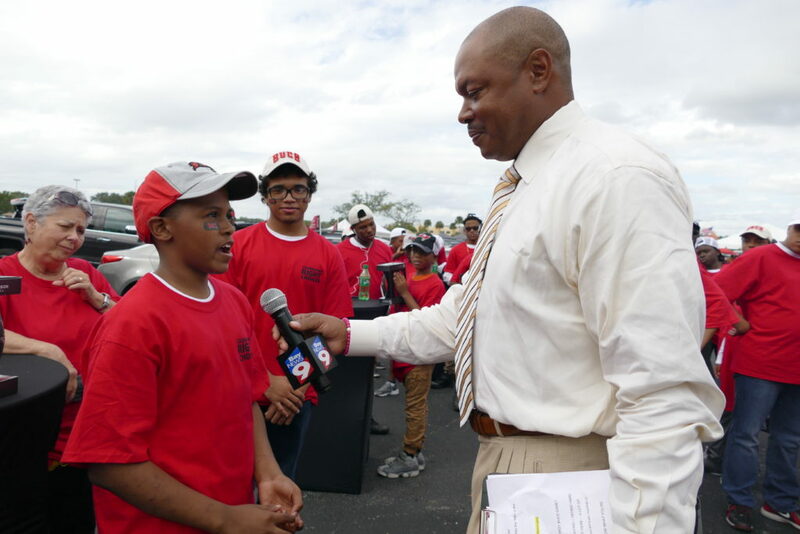 “Getting these kids to see things outside of their environment is vital.